if you start blogging and after a few week, you will probably think that is it worth enough to spend time on blog. I am sure most of the early blogger think about it. I was also the one who thought like this, stopped blogging and then re-blogged again and felt the same feeling again. So I tried to find which will motivate me to keep blogging. The followings are the factors which motive me to keep blogging. I am not sure it will be the same for you, but at least you can try these motivation factors for blogger if you are start thinking to give up blogging. I assume that you have already signed up your blog for google search console. 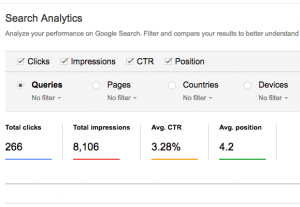 Then you can see your blog performance in google search console. The increase in total click, impression and ranking up in average search really motive me to work hard on my blog. And there, you can also looks around top keywords which your blog is ranking for, and you can evaluate with your blogging goals. Sometimes, your blog was ranked up for certain keywords but there are not the one you are trying to target, then you can re-analysis your work. I feel very happy when I received email from my audience enquiring about more information or asking for some help. And also having comments on blog posts is another factor that motivates me. 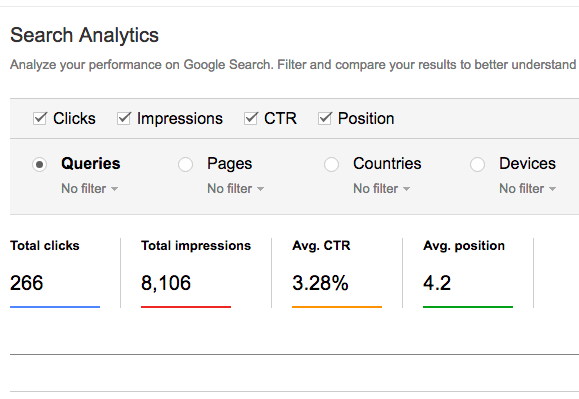 Likes google search console, one of the good tool to access your blog performance is google analytics. I also assume that you already submit your blog to google analytics. With GA, you can see real time active users on your blog and also total number of users by day, month etc. I don’t include earning from the blog in this post as I am focusing this post to beginner bloggers. If you start earning from your blog, you have already passed the period of thinking to give up blogging. Please also let me hear about yours. What are the motivation factors to keep you blogging without giving up.